It is still too early to know if this is going to be a year with high incidence and severity of rice blast. 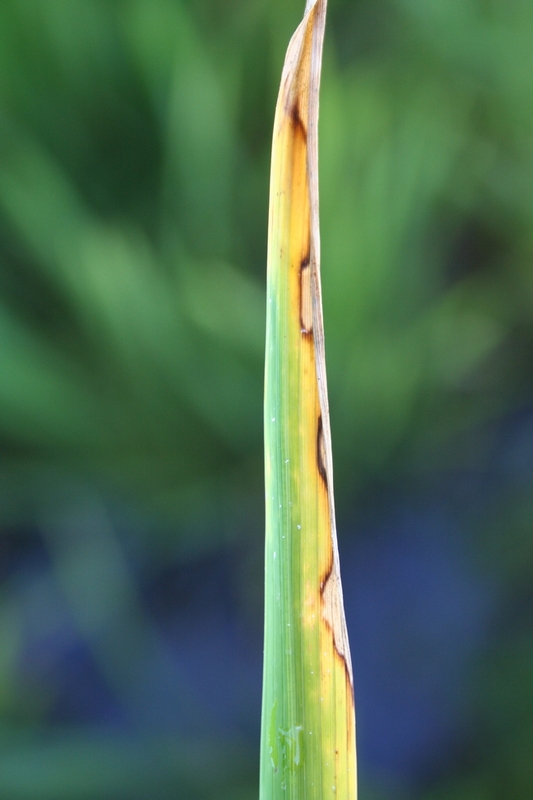 The most favorable conditions for sporulation, spore germination and infection ofplant tissue by the blast fungusinclude high relative humidity, free moisture on the plant tissue surface and temperatures around 82o F. Temperatures cooler or warmer than this slow down disease development but do not prohibitit. As the season progresses, watch out for mild temperatures, calm mornings and foggy orovercast skies that favor extended free moisture periods, all conditions that promote blast development. 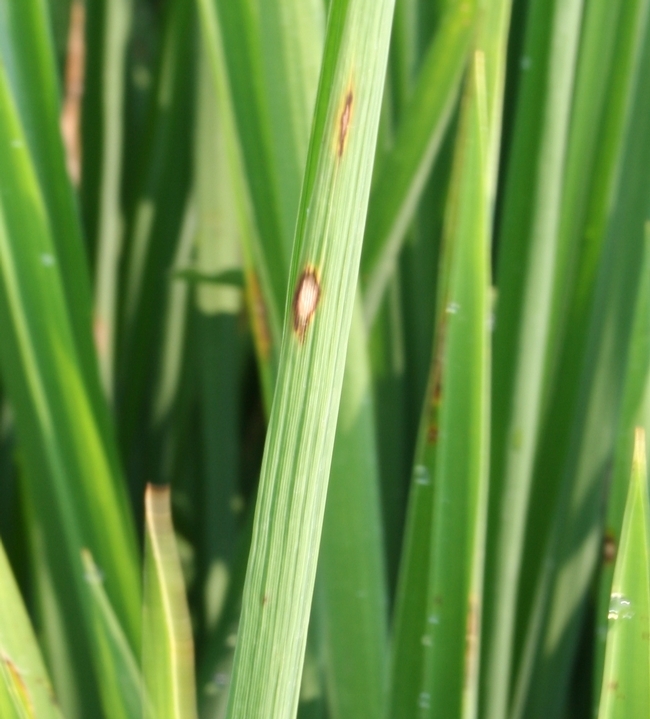 As I have mentioned in the past, there are several factors that may predispose rice plants to infection by the rice blast fungus. First and foremost is the inherent resistance of aspecific rice variety. Our California rice varieties do differ in their tolerance to infection bythe pathogen. M-104 and M-205 appear to be the least tolerant of the most widely grown commercialvarieties while M-202 and M-206 are somewhat more tolerant. 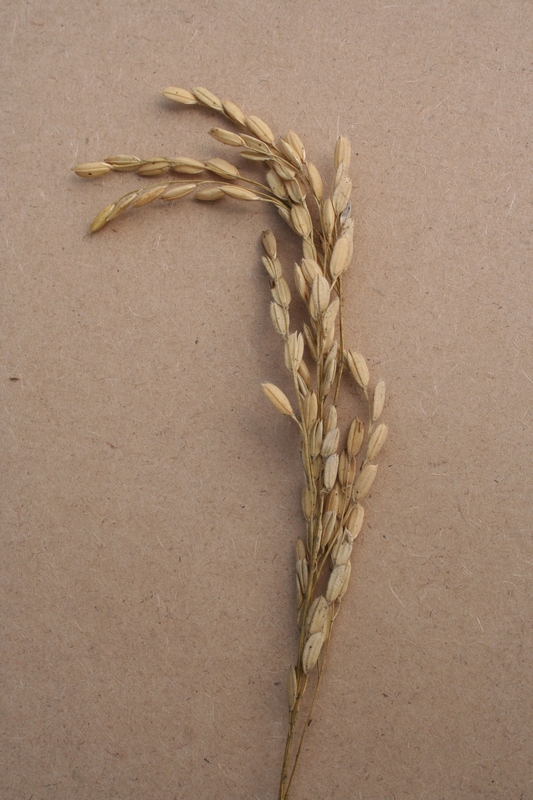 M-208 is the only commerciallyavailable rice variety in California with a specific resistance gene to race IG-1 of the blastpathogen. IG-1 was the only race of this pathogen known to exist in California until recently.Unfortunately, confirmed cases of limited leaf and neck blast inM-208 fields in recent years indicate that a new race of the pathogenhas evolved through mutation or has been introduced into California. M-208 is still resistant torace IG-1 but is not resistant to this new race. 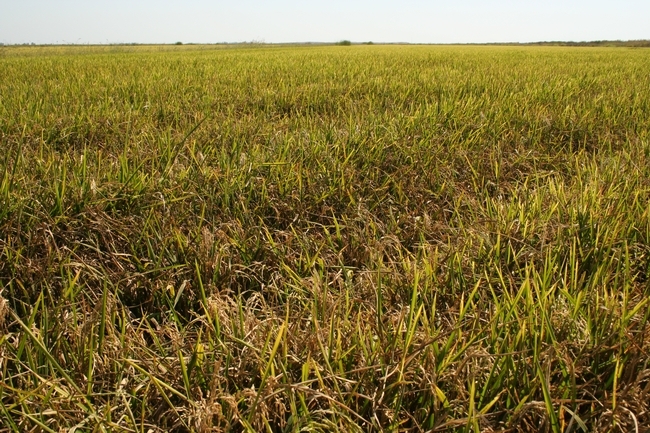 I am more convinced than ever that water management plays a critical role in rice blast diseasemanagement. 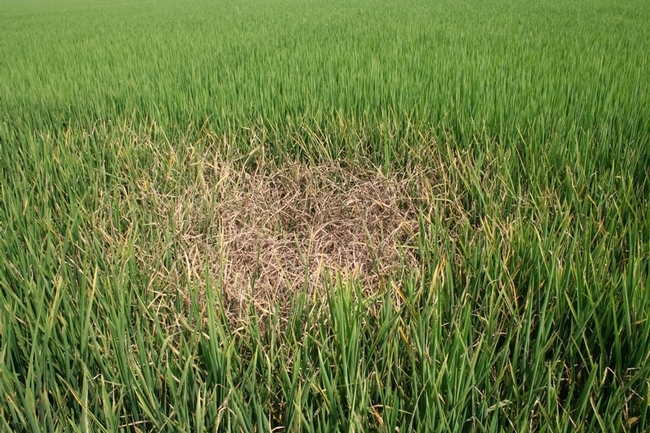 Not only does field drainage increase the risk of disease transmission fromseed to seedling but any practice which leads to aerobic conditions within the soil predisposesrice plants to rice blast disease. Drill seeding and draining for stand establishment or herbicideapplications that require a drain in water seeded systems increase the risk of infection and plant susceptibility torice blast. 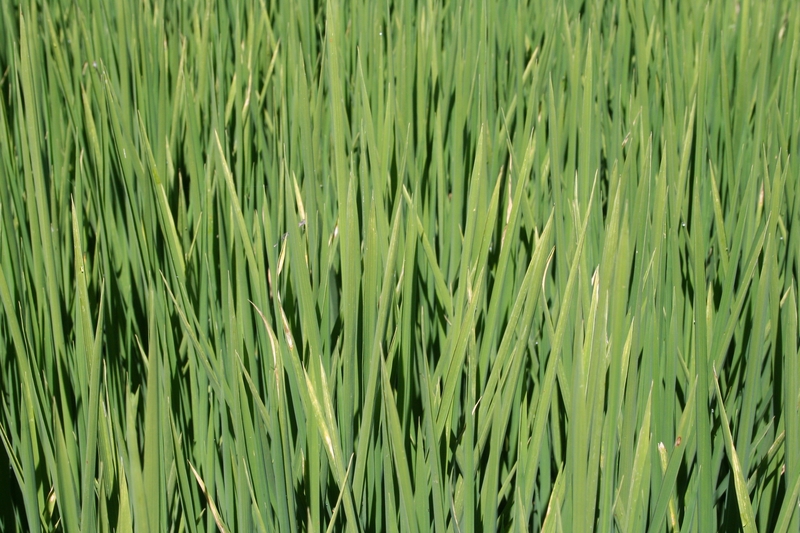 Additionally, rice plants grown in deeper water exhibit increased tolerance to thedisease over those grown in shallower water depths. 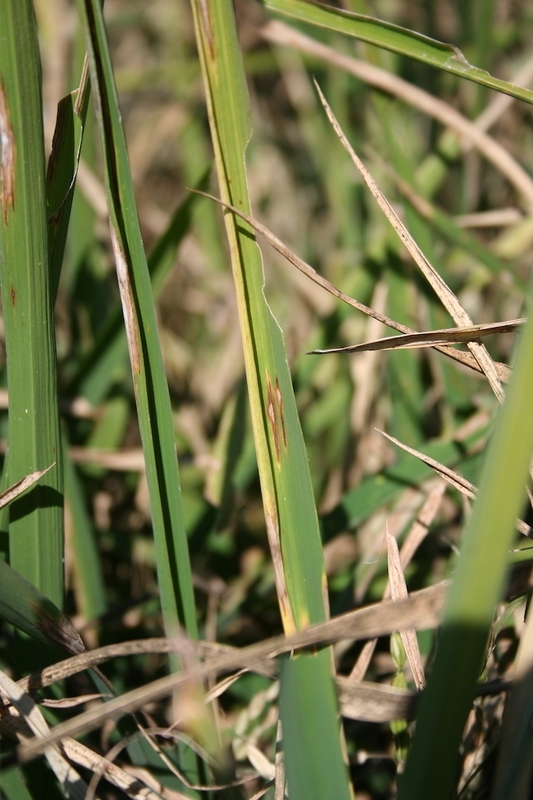 This is apparent where we often see localizedincreased disease severities associated withhigh spots within a field or prolonged periods of field drainage. 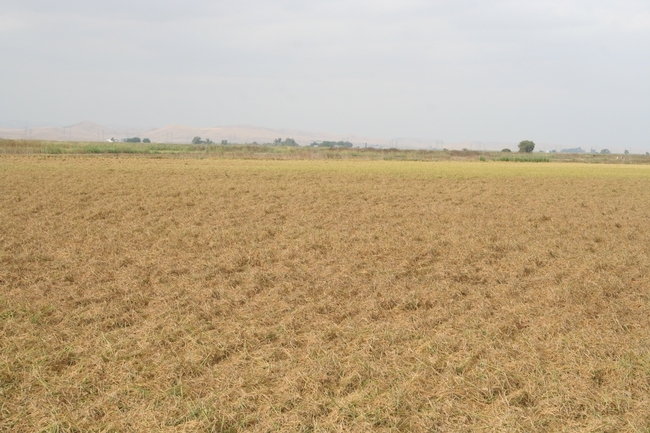 From an irrigation standpoint, maintaining a deep continuous flood isthe bestoption for minimizing the risk associated with rice blast disease. 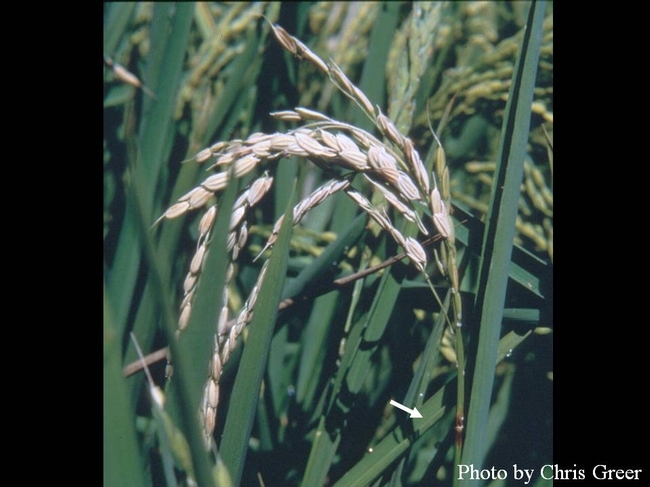 Rice blast is a very complex disease that has the ability to increase in incidence and severityvery rapidly under favorable conditions. 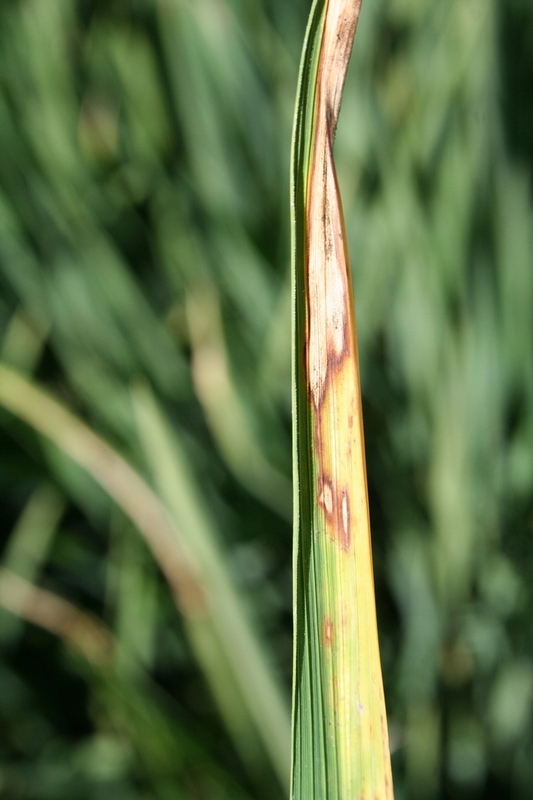 Growers should consult with their pest control adviser todetermine if a fungicide application(s) should be made to protect developing panicles as theyemerge from the boot. 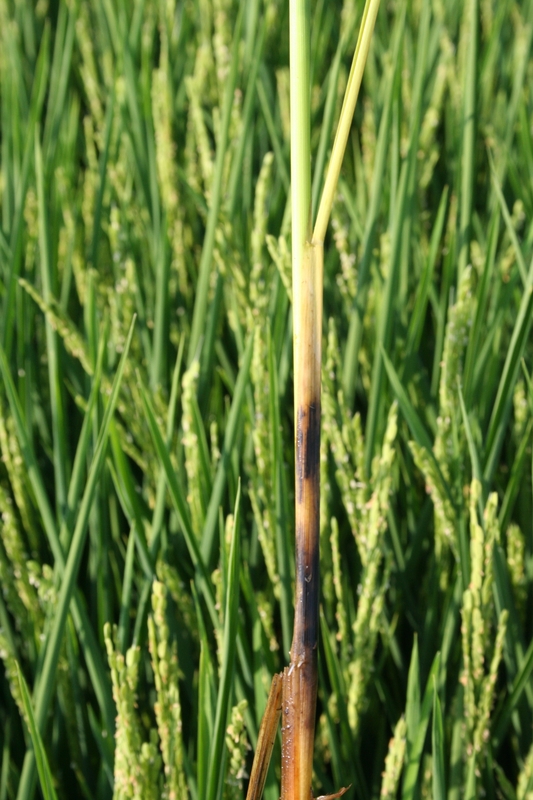 Up until today, I hadn't seen any blast in the area, but I got a couple of calls today of growers having to put a fungicide because of blast. We'll see if this year blast will be as bad as the past two years. Scout your fields and keep in mind that M-205 and M-104 are the most susceptible varieties we have. 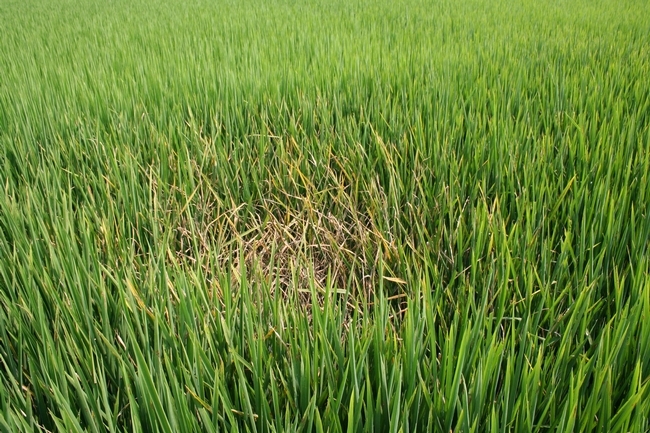 Draining and high nitrogen rates can increase the severity of blast. Below I'm re-posting some pictures and comments about blast. 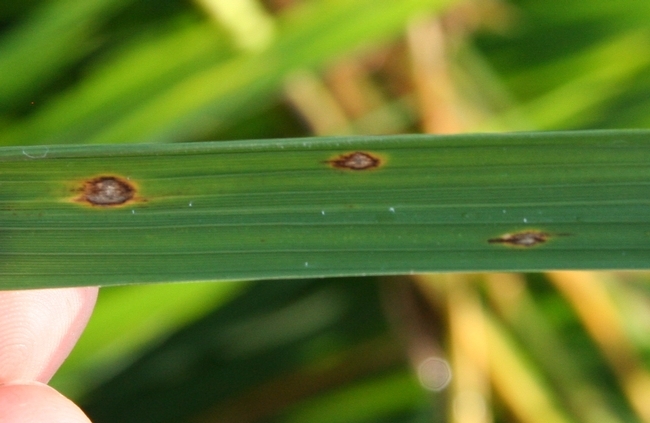 Leaf blast symptoms of the disease begin as small grayish, whitish or bluish spots that enlarge to form diamond shaped lesions. 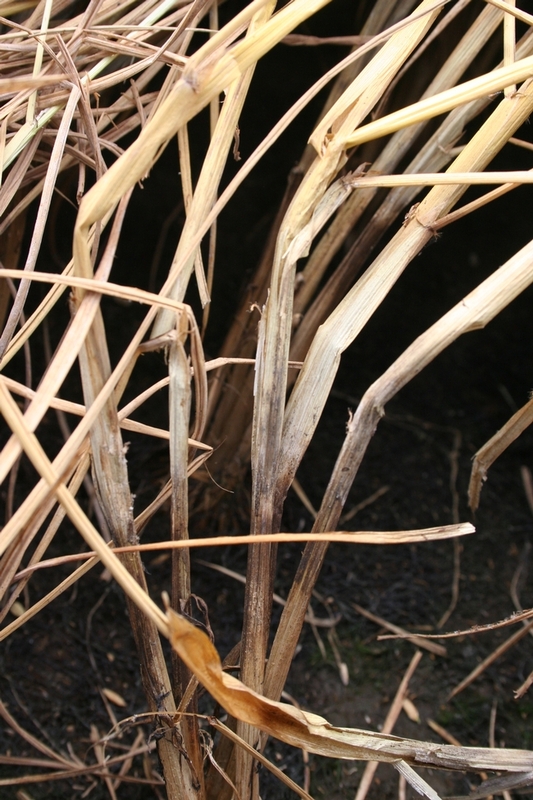 Lesions can coalesce and cover most of the leaf blades, causing "holes" of dead plants. This holes are usually observed at the edge of the field, in areas where nitrogen was overapplied because of overlap during aqua application. 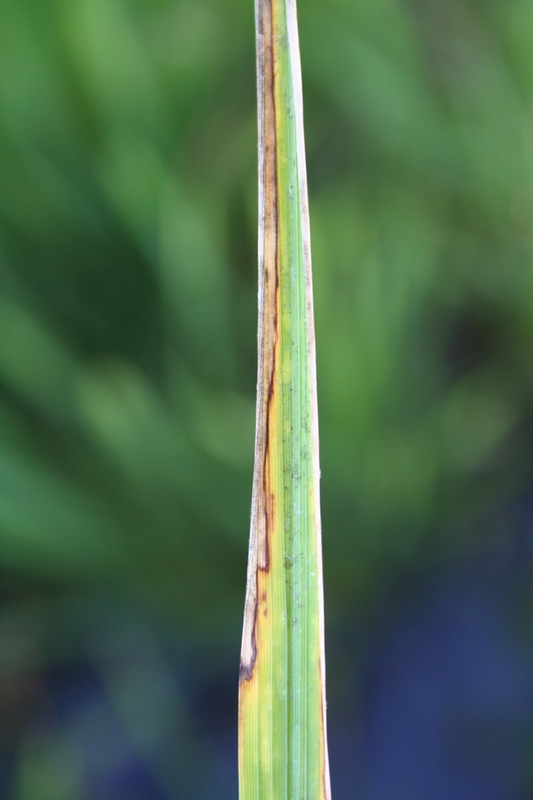 Excess nitrogen make plants more susceptible to infection. 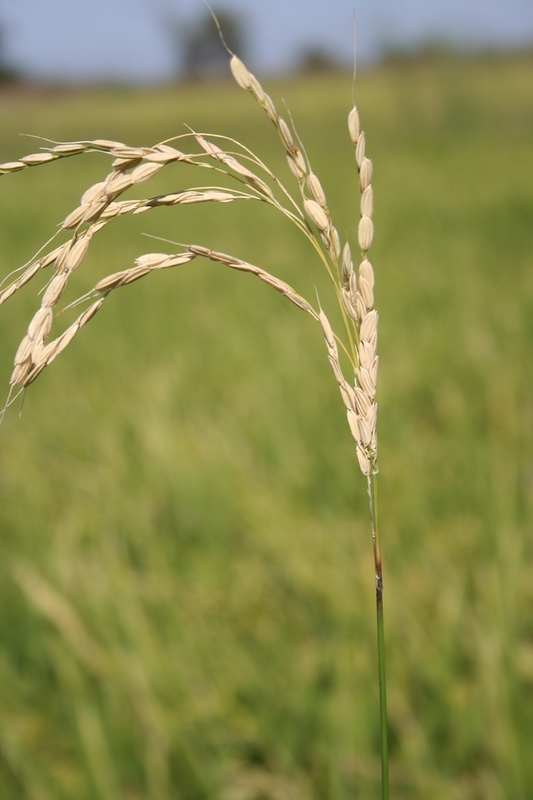 Neck and panicle blast are of economic importance. 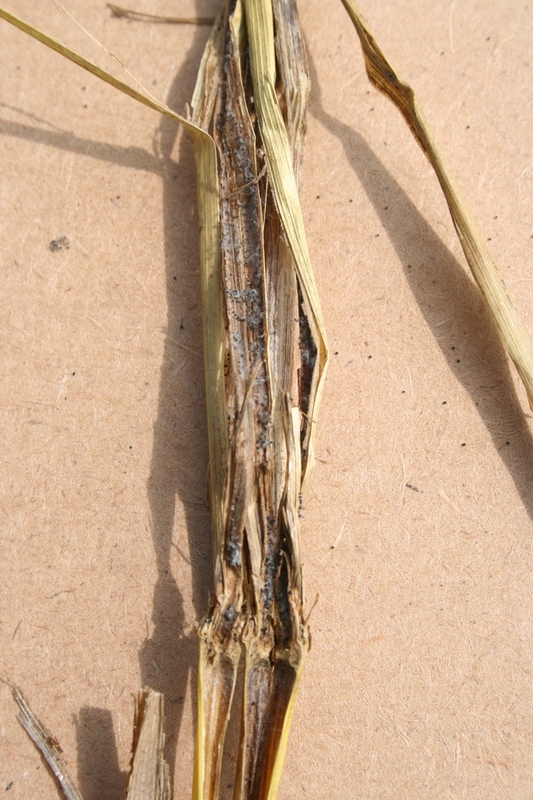 Infection of the panicles directly reduce yield by causing empty heads that produce little or no grain. Environmental conditions that favor the disease are extended periods of free moisture on the surface of the plant, night time temperatures between 63-73 F, no wind and high relative humidity. When treating for blast, time your applications so that the young panicles are protected as they emerge from the boot. 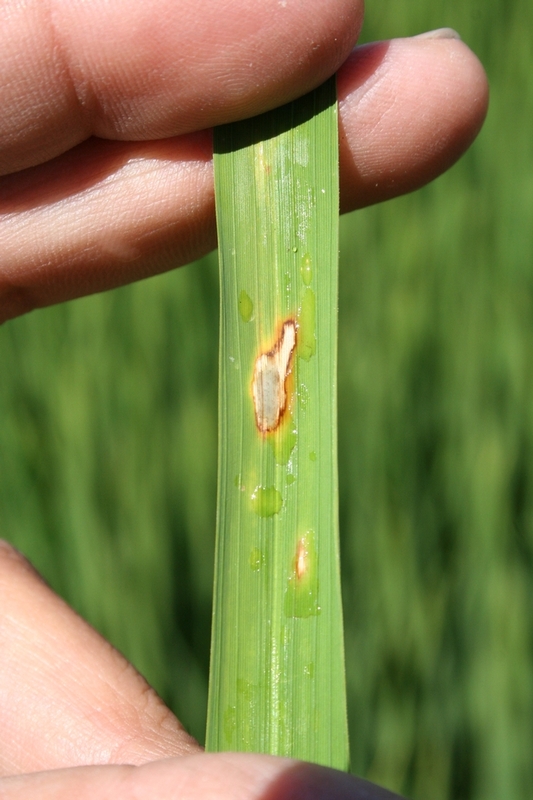 The fungicide azoxystrobin inhibits spore germination, and therefore is more effective when applied as a protectant. 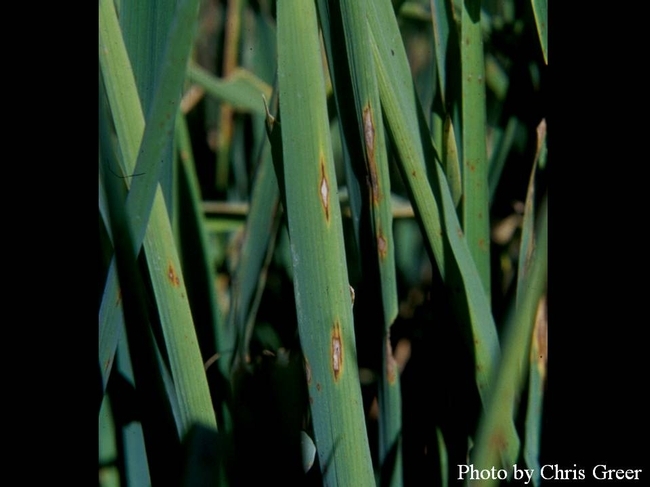 When using a fungicide, follow label directions and rates.